I’ve taken chromium picolinate in the past and have found it reduces my carbohydrate cravings. I stopped taking the supplement when I saw research indicating it causes damage to DNA. In your opinion, is chromium picolinate safe? Our bodies need trace amounts of chromium for its key role in processing carbohydrates and fats. This mineral also helps regulate blood sugar by working with insulin to help transport glucose into cells. Natural food sources include whole grains, bran cereals, seafood, green beans, broccoli, prunes, nuts, peanut butter and potatoes. For people with type 2 diabetes, metabolic syndrome, (marked by insulin resistance), and those who gain abdominal fat easily, I recommend daily supplements of 1000 mcg of GTF (glucose tolerance factor) chromium, a form that is well used by the body. Chromium picolinate is widely promoted to help users lose weight, build muscles, increase metabolic rate, lower cholesterol, and reduce cravings. To my knowledge only one small study has shown that it can affect cravings, and that was among patients with atypical depression. 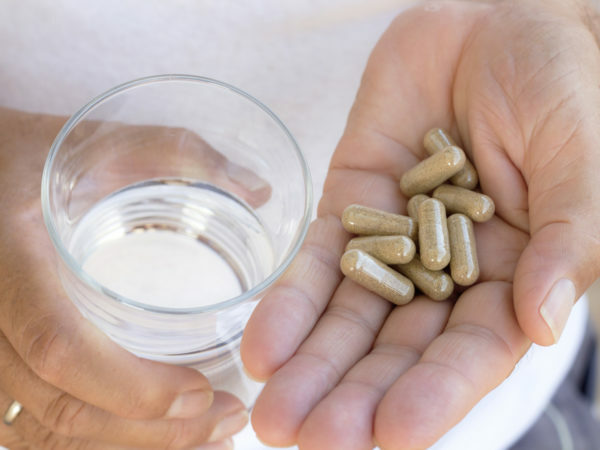 Supplementing with chromium picolinate has not been shown to actually help you lose weight, build muscle, lower your cholesterol, or increase your metabolic rate. The possibility of DNA damage was suggested by studies of chromium picolinate in cell cultures. There is no evidence of such an effect in any living organism. To follow-up on the cell culture results, researchers at New York University studied the effects of 400 micrograms of chromium picolinate over an eight week period in 10 overweight women and found no sign of DNA damage. The only adverse effects of chromium picolinate I’ve read about occurred in isolated cases. In one, a woman who took 1,200 to 2,400 mcg daily over four to five months developed kidney failure and impaired liver function. In another, kidney failure occurred five months after taking 600 mcg of chromium picolinate daily for six weeks. And, a healthy 24 year old man reportedly developed reversible, acute renal failure after two weeks on a supplement that contained chromium picolinate as the main ingredient. In general, daily doses of up to 1,000 mcg of chromium are considered safe, but my bottom line is to skip the picolinate form in favor of GTF chromium or chromium chelate.